Interclamp Assist internal swivel bracket. 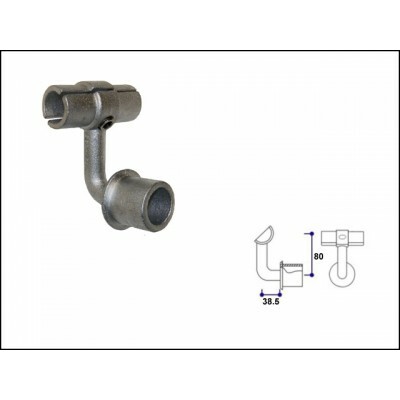 For attaching a handrail to an upright at any angle when used in conjunction with Short Tee Connector (JWICL101) or 90 degrees Elbow for a single rail (JWICL125), or a Long Tee Connector (JWICL104) for a double rail. Hot-dipped galvanised to BS EN ISO 1461:2009 giving a corrosion resistant finish for a longer life.